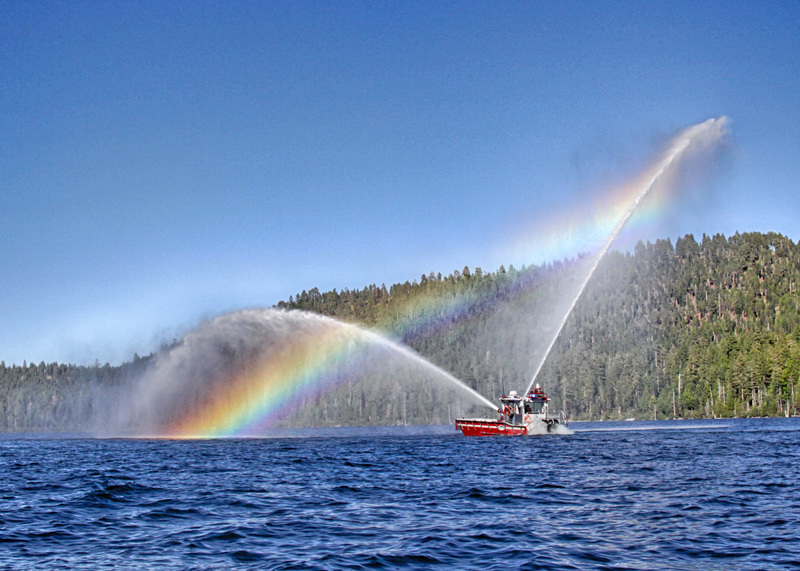 Fallen Leaf Lake Community Service District provides fire protection and other services to a secluded residential, resort and vacation community around Fallen Leaf Lake near South Lake Tahoe, CA. 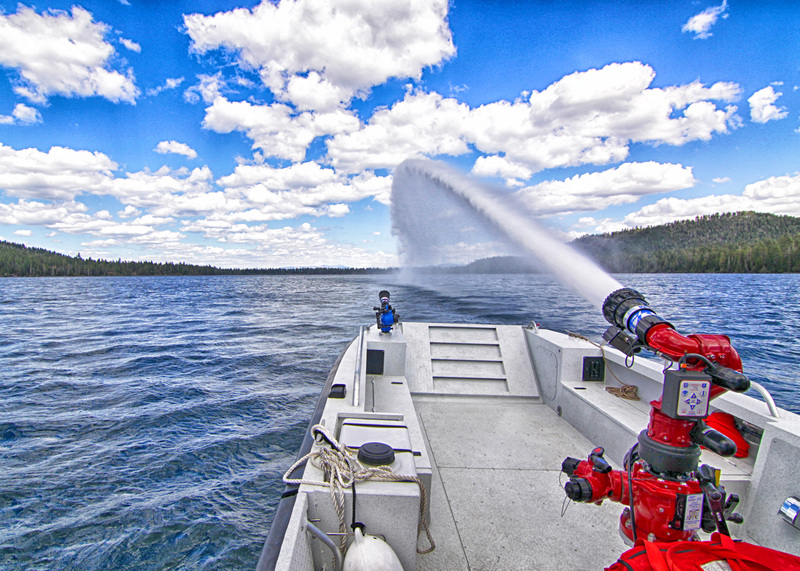 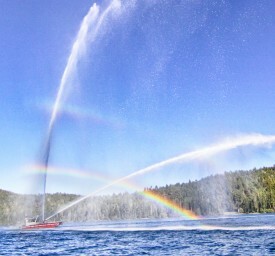 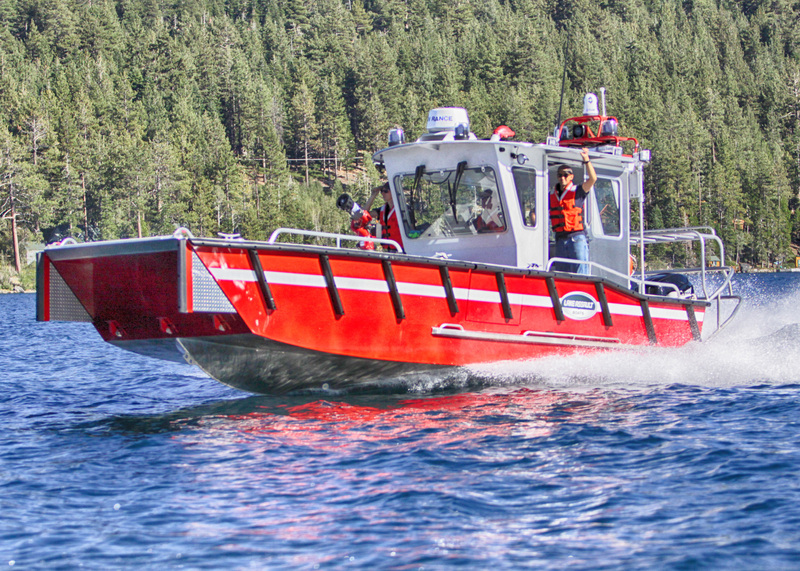 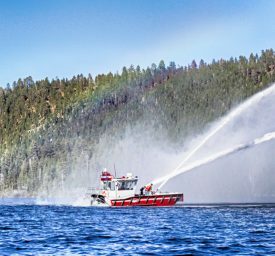 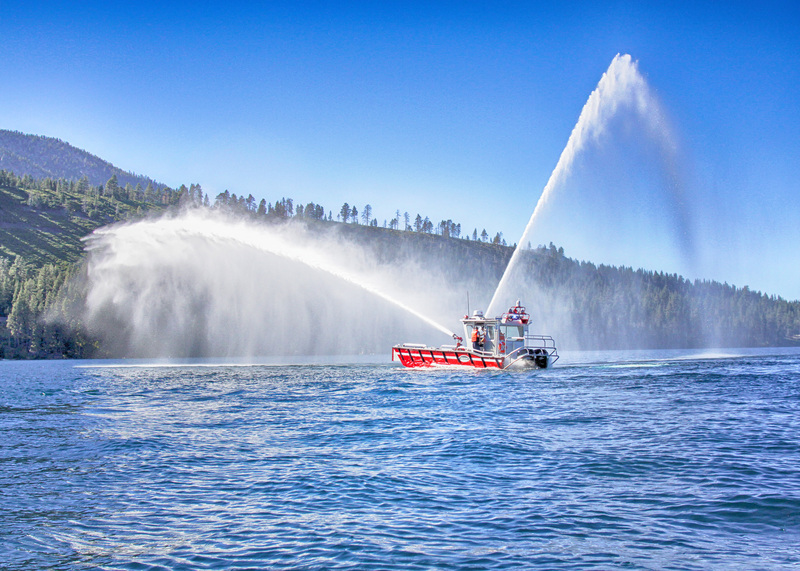 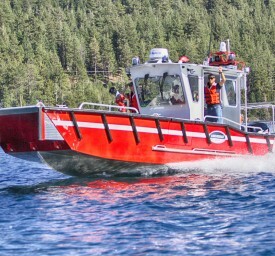 The district uses its 28-foot fire and rescue boat to pump lake water to stand pipes located around the lake for fire suppression in higher-elevation areas. 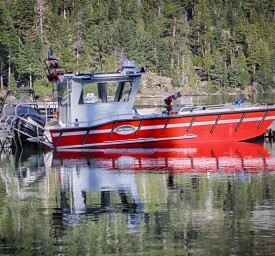 The District’s volunteer Fire Department also will use the boat for search and rescue missions in the region, which has limited road access, as is typical in the Sierra Nevada Mountain Range. 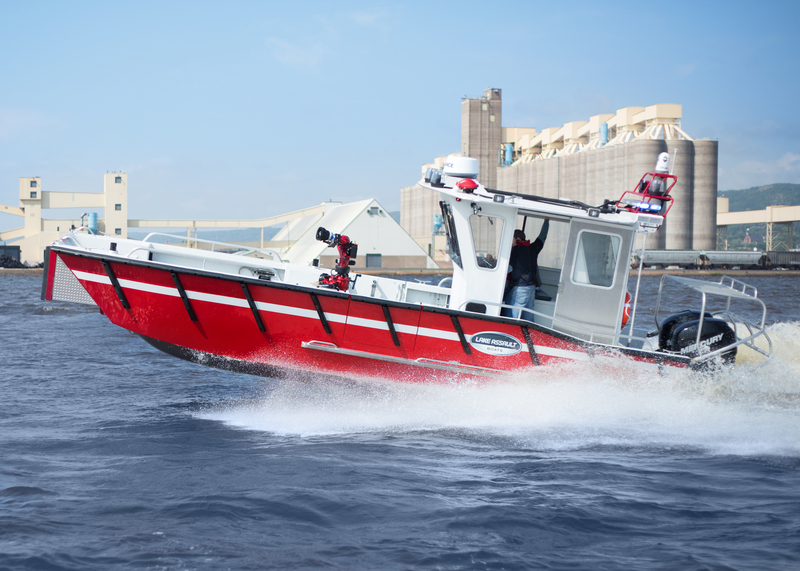 The all-welded aluminum landing craft is 28 feet long and 9.5 feet wide with a walk-around enclosed pilot house, providing maximum deck space for operations. 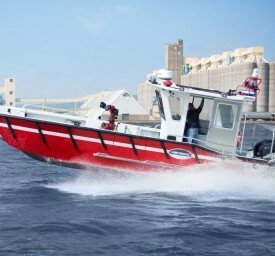 It has a 6-liter marinized V8 General Motors engine that feeds a Darley PSDE fire pump. 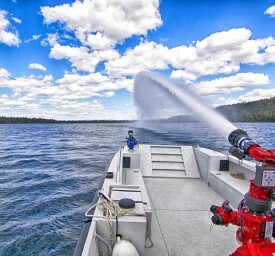 The powerful pump was specified to meet demanding requirements of this high-altitude region, delivering 1,500 gallons per minute at 150 pounds per square inch, allowing the boat to perform as a “floating fire hydrant.” The boat also has an extensive Lowrance electronics package, including dual-screen radar, GPS, side-scan sonar and FLIR infrared camera, all of which will be used in rescue and recovery missions. 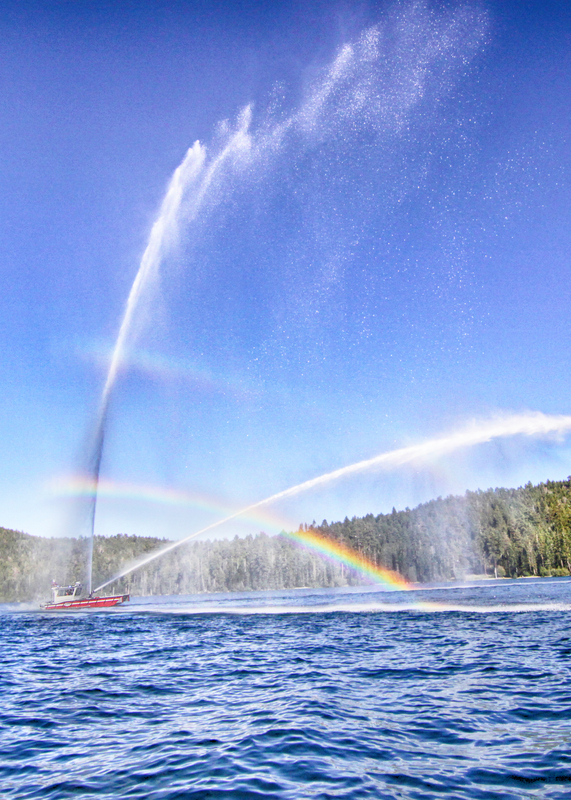 "I’m more than pleased with the results. 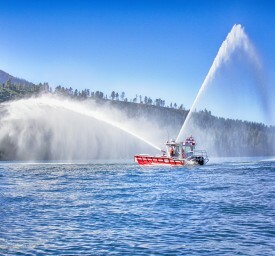 I treated the purchase of this boat just like I would the purchase of any fire apparatus. 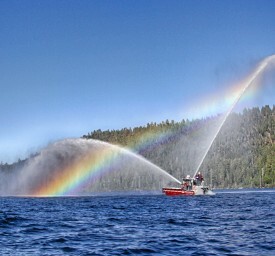 It’s a big investment for us. 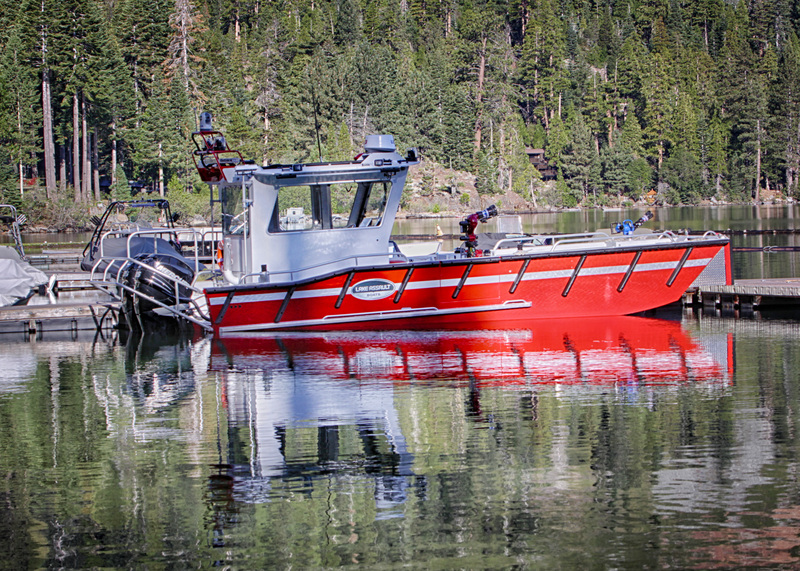 I have been overwhelmed with the boat we received and the customer service Lake Assault has provided."